I am always on the hunt for new beauty products. Living in a house full of girls we can never have enough! Repechage is a beauty line made in the USA that is gluten free, paraben free and salon quality. They also use natural ingredients and have no animal testing policies. Sounds like a company I can get behind. They have a wide range of products from skincare to cosmetics. Today I’m trying out the conditioning lip gloss in pink champagne. I’ve been using the conditioning lip gloss for the last few days and I’m really enjoying it. The first thing I noticed was how smooth and creamy the lip gloss looked and felt. It applies with little effort, just glides on. I like more intense colors so I did layer the pink champagne to get a darker color. But this such a pretty shade of pink I would even let Peyton wear it for pictures or recitals. The second thing I noticed about the lip gloss was the shimmer. And when you are the sunlight it really shimmers! This is definitely a fun lipgloss. I also like how versatile the lip gloss is. I can wear it over a lipstick to change the shade and look or I can wear it by itself. Since I work in a professional office during the day I paid this with a dark dusty rose lipstick and add the pink champagne to give it a little pop. I’m really enjoying the Repechage conditioning lip gloss. 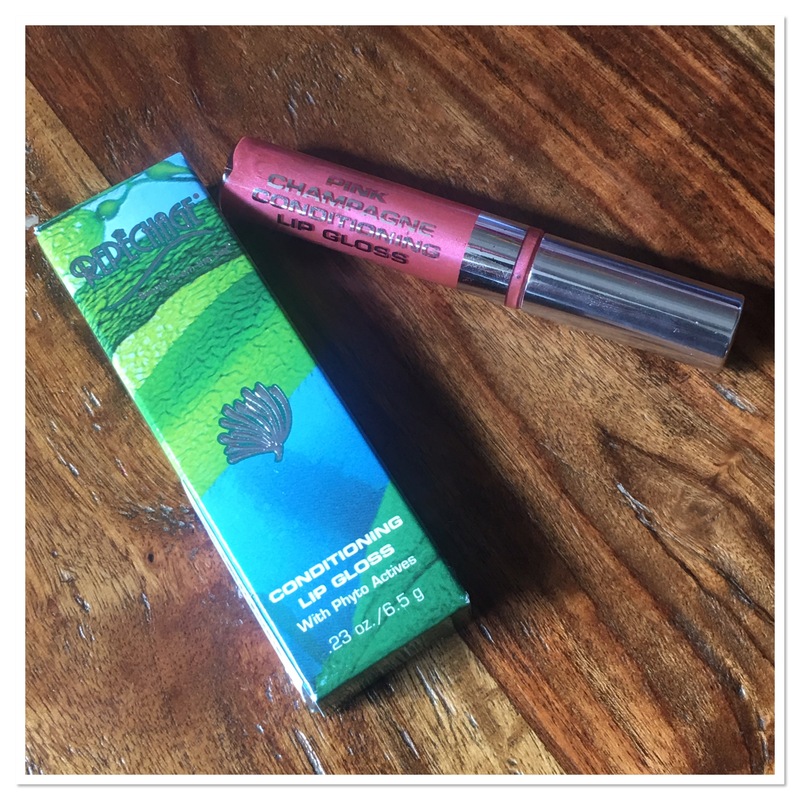 I like how the company makes it’s makeup in the USA, does not test on animals and is paraben free. It’s also gluten-free, which is not as big of a concern for me because I do not have a gluten intolerance. But for those that do have a gluten intolerance I think it’s wonderful there is a now a beauty line you can use. You can find Repechage’s full line of beauty and cosmetics online. 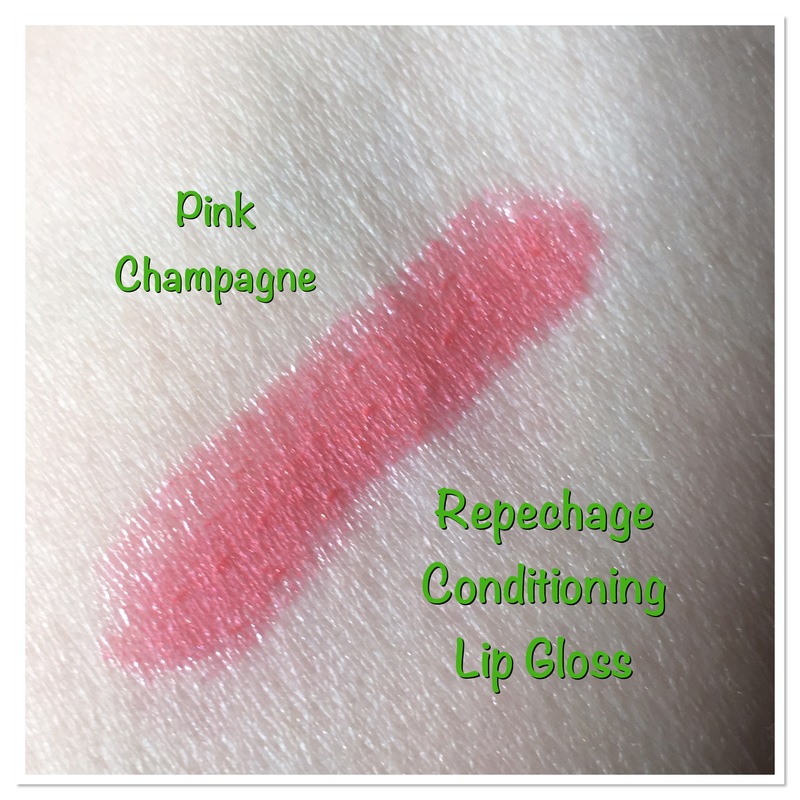 The Pink Champagne conditioning lip gloss is also available on Amazon.